It is not surprising that political parties are vying to magnify the mystery that has been continuously allowed around Subhash Chandra Bose, who definitely enjoys an iconic status in the minds of Indians apart from Ambedkar, Bhagat Singh and to some extent Gandhi also. The successive governments of India have kept the public in dark regarding the mysterious disappearance of Subhash Chandra Bose after the defeat of the fascist forces led by Japan and Germany. Many people employ this mystery to further their political agenda. Sangh Parivar has been viciously following an agenda to co-opt all those political icons of our nationalist movement who did not belong to the Nehru family. So Sardar Patel became ‘their’ icon because he differed with Nehru. After Patel, they went on a mission to coopt Ambedkar with their double tongue, but they knew well they couldn’t appropriate Ambedkar – an ideologically impossible task – hence they proposed building memorials and using Ambedkar’s differences with Nehru and his writings on Muslims. The problem was that RSS and its various followers in the government did not allow Ambedkar’s biography and the 22 vows that it had, to be shared with young students in secondary schools of Gujarat, fearing upper caste ‘backlash’. Now with Rohith Vemula’s death in the University of Hyderabad campus, the party cannot expect Dalit votes. In fact, one should not be surprised if a large part of OBC ditches BJP this time in states along with Dalits. Subhash Chandra Bose is another and perhaps the last resort of the Sangh Parivar in attempting to discredit Nehru and his legacy. Hence the threat of declassifying files related to his death or disappearance. We all know how Indians have made Subhash’s disappearance into a political ‘dhandhebaaji’, particularly West Bengal where they have no time to discuss what ails the state and how they are going to develop it. Subhash Babu’s political ideology was much more secular than any of these leaders that we have today, but they don’t want to discuss his ideology. They want to discuss his death and how best they can use his death’s mystery to discredit their political opponents and mobilise people for their own political agenda. Problem is that our government has not declassified all the files. It is doing things in a planned manner so that it can get political mileage from it, which is very unlikely. Why did it need to declassify files in a serialized way over several months? The West Bengal elections are round the corner and BJP is not in a straight fight with Congress. Mamata has proved that she can handle BJP in in a much better way, despite the fact that some of Subhash Bose’s relatives have joined the party, but it is not going to pay electorally. Last year West Bengal chief minister Mamata Banerjee declassified about 64 files which were made available to media and common persons. People could read what was happening at that time and why Subhash and his family were being ‘snooped’. The current dispensation at the center has used the Netaji files bogey to undermine Jawahar Lal Nehru but when they came to power, they refused to release the files to public in the name of ‘national interest’. After Mamata Banerjee declassified the files there was mounting pressure on the central government to release those documents. Before they could do anything, the Sangh Parivar launched its own rumor Photoshop machine to discredit Nehru. The government released the documents on Netaji’s birthday on 23rd January and ‘found’ nothing except a forged letter of Nehru to British Prime Minister Attlee. As history is not the forte of Sangh Parivar, we can see glaring technical mistakes in the letter including spelling and other grammatical errors. The who historians who have known Nehru vouch that such a superficial letter couldn’t have been written by him, and that too, without putting his signature. It is unfortunate the media jumped into it and some ‘devotee’ reporters of India Today group put the letter on their website as a ‘credible’ leak of the declassified files. Later, the same journalists actually withdrew it from the website without officially apologizing for the glaring mistake. The way this government is going on its one point programme of discrediting Nehru through using his differences with other political leaders of his time is brazen-facedly shameless and needs to be condemned. Netaji Subhash Chandra Bose is one of the most respected national heroes of our country. There is no doubt that from childhood our children have loved to see him as a symbol of ‘military’ power or discipline, though in any matured democratic society such a figure would be despised for political leadership. One can only imagine what would have happened if Netaji had become the prime minister after independence. Would we be a democracy as we are now? Netaji himself said in numerous interviews that India did not need democracy and it must come under dictatorship for a few decades. Many people feel that he was right because democracy has now given opportunities to so many people, who India’s upper castes feel deserve to be banged and treated as untouchables and shudras. For these ‘devotees’, such voices need to be crushed and do not deserve ‘democracy’. ‘Democracy’ is becoming the biggest problem for caste Hindus as they feel that ‘unmeritorious’ people are now ruling us and on these occasions they love to quote Subhash Babu saying that India should have been put under dictatorship for first 30 years to teach all of us a lesson. It is important to understand that political differences are bound to happen and despite that people had deep respect for each other. Sanghis now realize that opposing Gandhi would be quite dangerous for them as at the end of the day we are ‘witnessing’ Gandhi’s Ramrajya today. Gandhi ‘empowered’ the caste Hindus one hundred percent so that they acquire all the spaces available hence for Sangh nothing can be as important as Gandhi to promote their Hindutva agenda. However, the biggest ‘obstacle’ in their ‘path’ is Nehru who despite his many ‘faults’ still remain popular with intelligentsia if not with the masses. There is however another factor that after coming to power the publication of ‘Why I killed Gandhi’ written by his murderer Nathu Ram Godse have surfaced widely along with ‘Meinkampf’ of Adolf Hitler, another fascist and ‘inspiration’ for many in the Hindutva family. These are not just ‘co-incidences but well planned attempts to threaten people and indicate who are in power in India today. There is nothing wrong in ‘disclosure’ of important documents as it is of immense use for the students of history to understand the situation in which leaders functioned, though most of these ‘classified’ documents are mostly ‘intelligence reports’ which are more or less ‘political gossips’ and nothing beyond that, in the case of political opponents. It is not that all of these ‘gossips’ are incorrect but most of these stories are basically based on hearsay and suggest ‘movement’ or ‘whereabouts’, correspondence and communications of the person being ‘snooped’. However, the case of Subhash Chandra Bose is different as he is almost ‘worshipped’ as an icon in India, his ‘military’ image is still loved by people and therefore his ‘sudden disappearance’ needs to be ‘investigated’ or ‘exposed’. Was he killed in an air crash? If not then whose ‘ashes’ are there in Runkoji temple of Japan? If he was not killed then where was he and how come the government not able to locate him? If he was alive and living like a ‘saint’ then why he did not come openly and speak? What were his fears? A leader like him who challenged Gandhi when the latter was a ‘God’ will never ever hide in ignominy. Subhash was not the person who could have lived like an unknown person and his commitment for the nation and differences with Gandhian approach compelled to him to tread the most dangerous path of even approach the ‘axis of evils’ as the terminology used for the fascist powers. 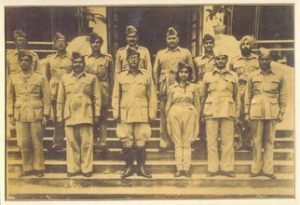 It is understandable that after the defeat of the ‘fascist forces’ in the World War II things would have become highly difficult for any one closely associated with those forces and Subhash’s open association with Germany and Japan would not have saved him from prosecution internationally. These facts are not known to a majority of Indians – how Japan and Germany were tamed in the Second World War and how their leaders faced international trial against all kind of oppression and execution of innocents. Fortunately, public opinion has now widely built in these societies against fascism and militarism, which was witnessed recently in Japan when people protested against the attempt of the government to revive its armed forces. There is too much liberalism in Indian circle regarding Subhash Chandra Bose. We are unable to inform our young that after the defeat of Germany, Japan and Italy the rulers of these countries faced trials and all those who allied with them faced trial and were declared war criminals. 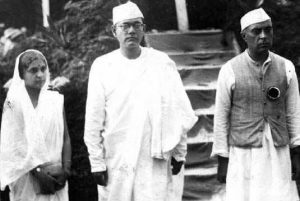 Was Netaji a war criminal? So far no documents suggest that. The forged letter of Nehru to British Prime Minister Atlee suggest that as RSS wanted to tell Indians that Nehru tried to make Subhash Bose a ‘war criminal’ to fulfill his political agenda in India. This is too petty a talk as Nehru stood for Azad Hind Fauz in trials in Delhi and Congress Party was supporting to Bose’s wife and daughter an amount of Rs 6000 per month according to these files. There is nothing wrong but we must make assumption that if he were alive, he might have faced the criminal charges of associating with the fascist forces. We must understand that India was a new nation that time and had no world standing as it claims today even when Nehru was an international icon of his time. There are two issues. One is which most of the people agreed that Subhash Chandra Bose had died in air crash. Those who don’t want to believe in the death at the aircrash there should tell why he disappeared and remain silent. We believe a man like Subhash Chandra Bose could never have remained silent in the harshest adversity. There is no doubt that Subhash Bose’s association with Germans and Japanese had nothing to do with their fascist minds but more with his zeal to liberate India, but it is also a fact that he never wanted India as a democracy for the first thirty years which was a very dangerous thought and the caste system would have continued to be here oppressing the Dalits and shudras. Netaji felt that India had not been an ‘educated’ society and hence didn’t need democracy. Who would have been the victim of the ‘dictatorship’ of Netaji? Since August 15th 1947 till October 31st, 1950 when Sardar Vallabh Bhai Patel passed away, he remained India’s deputy prime minister and home minister. The Sardar had many differences with Nehru and definitely was an independent home minister. Why didn’t Sardar order his intelligence officials to stop the ‘snooping’ of Netaji? When Sangh Parivar is blaming Nehru for every evil against Netaji, let some more brazen facts come into open and uncomfortable questions asked. There is no denial of the fact that Netaji and other political leaders must have been under snooping by the British Intelligence and after the World War was over the ‘friendly nations’ must have launched operations to find out all those who were associates of Germany and Japan. It might be possible that those orders of the past were simply carried forwards by the officials. It is same that despite our new constitution drafted by Baba Saheb Ambedkar, most of our acts remain of the nineteenth century, which have not been amended till date. Land Act of 1894 got changed in 2013 after huge public outcry against land acquisition hence it is very much possible that the legacy of the Raj continued till several years later. The only possibility was that the Home Minister of the time must have come under the knowledge of this snooping and should have taken a decision but given the international scenario and India a newly independent nation, it would be have been difficult for any government to act courageously and seek information about Netaji from other countries. Whatever be the reason it is important to understand through the files whether the government of newly independent India ordered any ‘snooping’ of Netaji’s family and his connections, or it was just an ongoing thing, but no one can deny the fact that the nation’s Home Minister must have been in the know-how of the case. The relations between Sardar Patel and Subhash Chandra Bose are well known but need to be explored further. 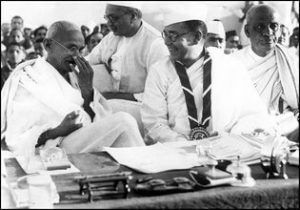 It is said that Netaji was very close to Patel family, and his brother has donated some land to him through his will, but the will was challenged by Sardar Patel as fictitious and got it nullified from the court. 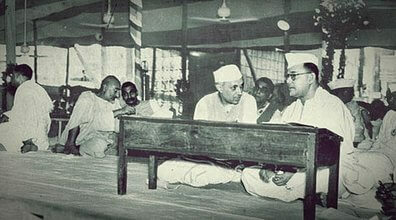 It means that the relations between Subhash Chandra Bose and Sardar Patel were not cordial. Contrary to it, Jawahar Lal Nehru stood as a lawyer for the captured soldiers of Azad Hind Fauz. He remained a good friend of the family for years and many people of Netaji’s family were members of the Congress Party. 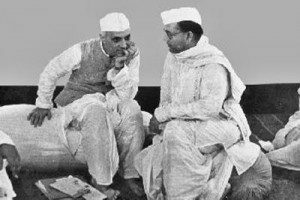 It is not that Nehru and Netaji might not have had differences and egos. All the leaders during the freedom movement right from Mohammad Ali Jinnah to Subhash, Nehru, Ambedkar were leaders of great understanding and therefore differences, but it is certain that it did not come in their way as all of them were men of caliber, character and commitment to the people. Hence it would be sad if petty politicians and parties, who had nothing to do with India’s freedom movement, are allowed to use this opportunity simply because the parties are afraid of Nehru and his ‘modernism’. Is Nehru’s legacy so dirty and forgetful that each time we find a new controversy, we have to involve him? It has also come to public domain that Subhash had highly despised the idea of Shayama Prasad Mukherjee to float Hindu Mahasabha, to the extent of opposing it violently. Subhash was a thoroughly secular man and his Azad Hind Fauz had people from different communities including Dalits. His Azad Hind Fauz had not only battalion in the name of Gandhi but also of Nehru and Rani Lakshmi Bai. Indian army has now ventured to make women part of its structure in combat zones but Subhash had deep trust in them back in the day and therefore Captain Lakshmi Sehgal was chief of his women’s wing. 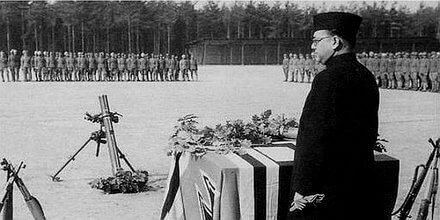 Even when he associated with Nazis, Subhash Chandra Bose remains icon of a pluralistic secular socialist India. His personal life cannot be role model for RSS. A man who made Col Shahnawaz Khan his deputy in the Azad Hind Fauz, who brought women in his forces, who believed in India’s pluralist traditions can’t be a model for Sangh Parivar. All attempts to coopt Subhash Chandra Bose into the Sangh family will fail and will not bring any political result for them. Historical figures should be analysed, critiqued and reevaluated without creating a mystical halo around them. India must disband official secret act and all the files of the government must be made public after 30 years and there should not be any politics behind it. We should allow historians, political scientists of all variety to analyse them but not play dirt with their decisions and actions. Throwing muds at historical figure through rumours and planted stories must stop henceforth in the greater interest of the nation and society. Subhash Chandra Bose’s idealism of socialism and secularism are important for India. His commitment to serve Indian people need to be appreciated. He contributed to our freedom more than any one else as Baba Saheb Ambedkar said in one of his interviews with BBC London. Subhash Bose did make mistake but none can question his love for his motherland. None can ever suggest that his idea of India was exclusive replica of the Chitpawan Brahmin owned Sangh Parivar. Those who want to mystify Subhash Chandra Bose are his biggest adversaries, as we will get nothing to continuously debating his death rather than his ideas for India’s betterment. Yes, historians have been very liberal to him about his commitments to India but we also need to analyse what would have happened if the fascist forces had won. Our children need to know about the dangers of all those fascist powers who believed in racial superiority and killed people in the name of their identities but at the same point of time it must be made known to our people and history proves that Subhash’s idea of India was always inclusive, pro people and absolutely socialist which the Hindutva ideologues despite today.